Please hover over (and click on green) hotspots to see more details about our key features. A user customisable ‘MY BENCHMARK’ window that promises a more customisable user experience as well as increased personal productivity. 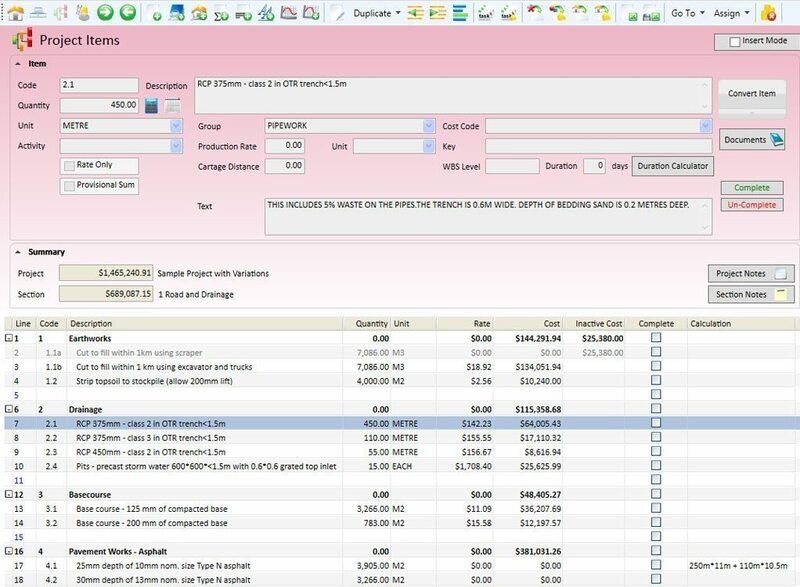 Creates a Project in Benchmark Estimating Software and imports a bill of quantities in one operation. You can also elect to run Auto Allocate upon completion of this function. 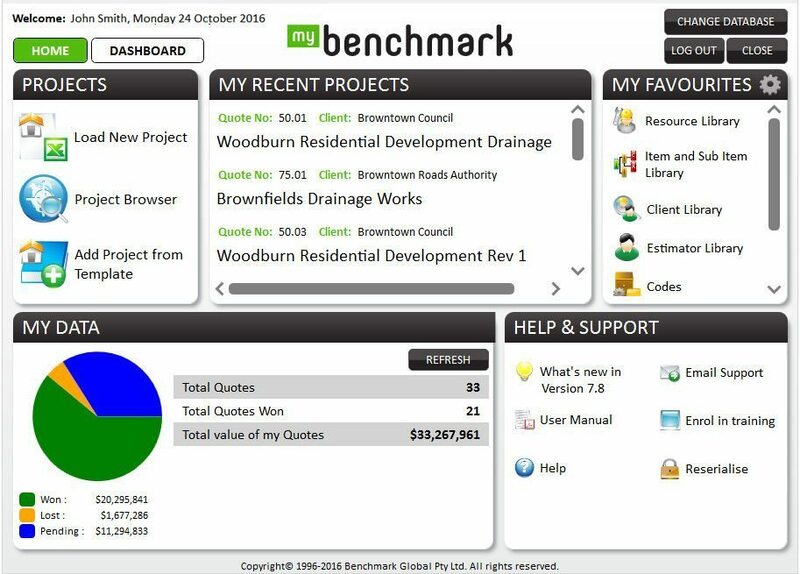 Project Browser: All estimates you create are listed in Benchmark Estimating Software’s Project Browser window. This makes finding and opening previous estimates easy and fast. You can quickly search or filter estimates by Client, User, Status, Due Date, Location and many other criteria. 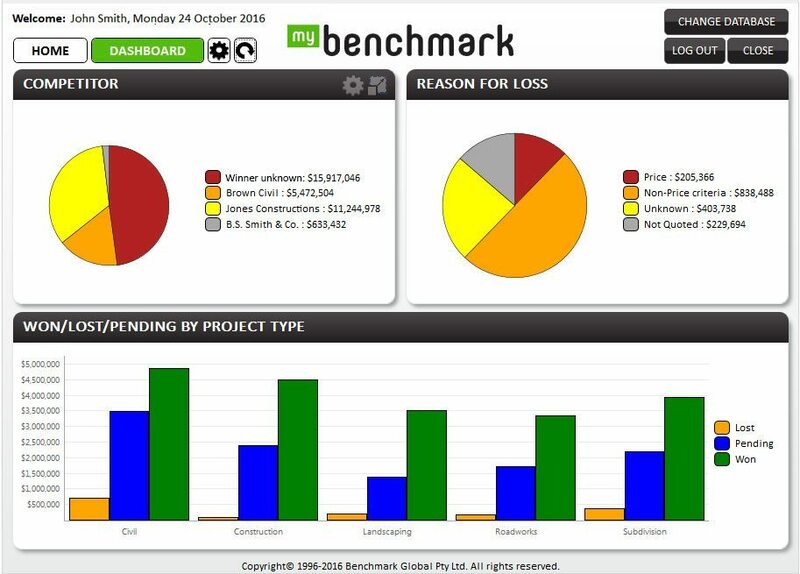 Each estimate you do is stored as a Project in Benchmark Estimating Software’s database. 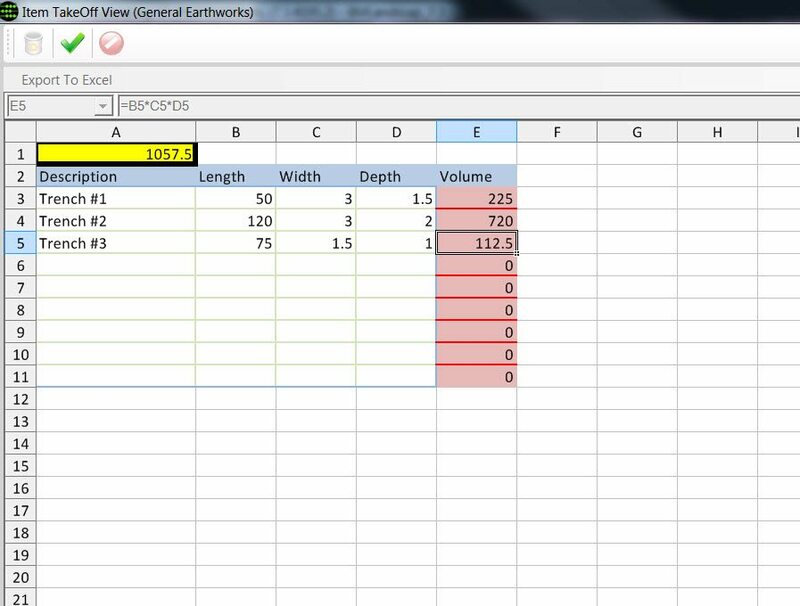 The following screen shots give you an overview of the main screens an Estimator would work with each day. From the Project Details window you can allocate a Quote No. or allow Benchmark Estimating Software to allocate it. 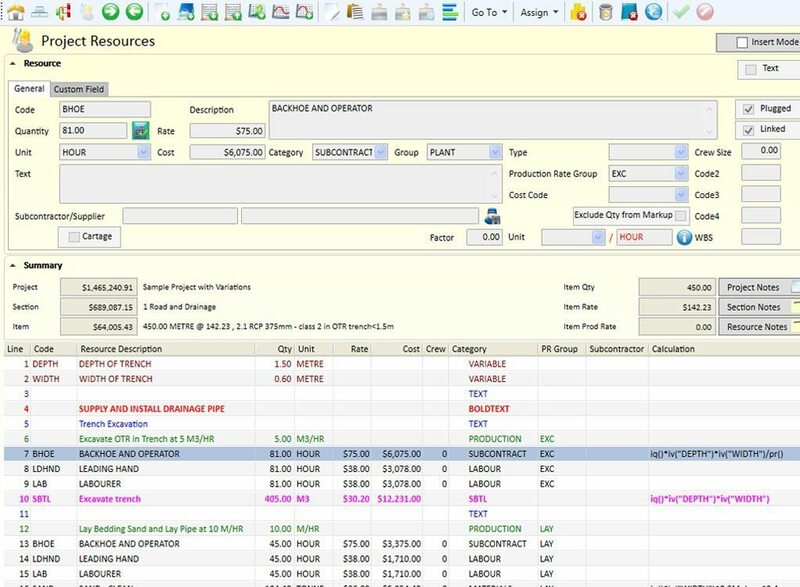 Import/export a schedule of Items: Save time and eliminate typing errors by importing a schedule of items (bill of quantities) from a Microsoft Excel spreadsheet directly into Benchmark Estimating Software. After you have priced your Project you can also save your submission rates directly into the same spreadsheet. 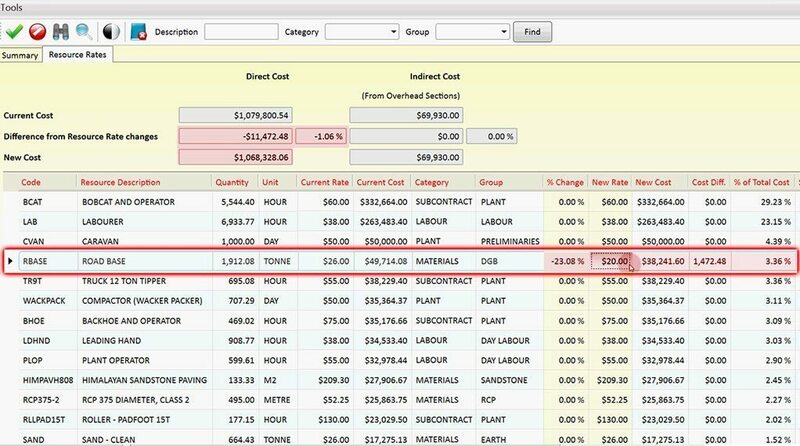 Resource Rate Change: View all Resources used in an estimate in one simple window, and make project specific price changes quickly and easily. Ideal for fluctuating material prices. Extras: Add Profit (Mark-up) in a variety of ways including as an overall % of the Project or as a lump sum. Add Overheads and Contingencies (Risks) on your Project by entering % or lump sum amounts. 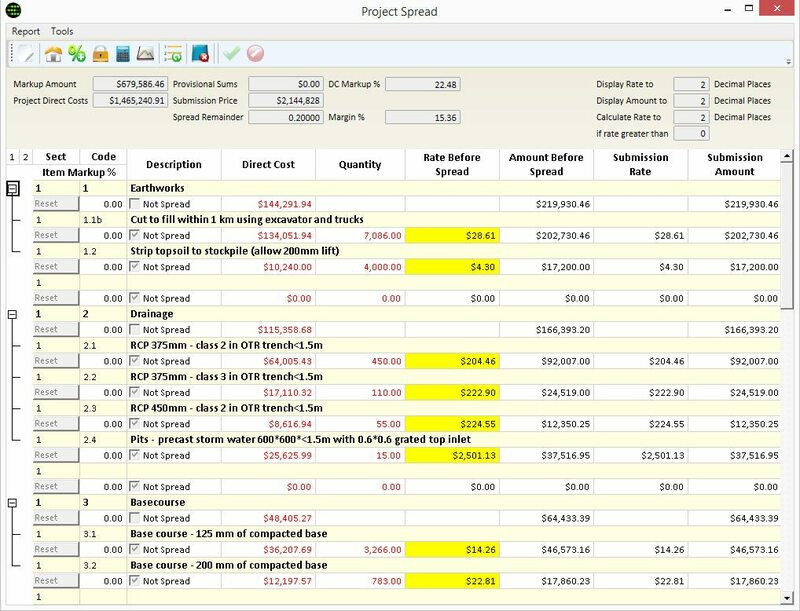 Spread: The Spread feature in Benchmark Estimating Software allows you to manipulate your submission price on an Item by Item basis. You can effectively override the Submission Rate or Amount for any Item in your estimate. 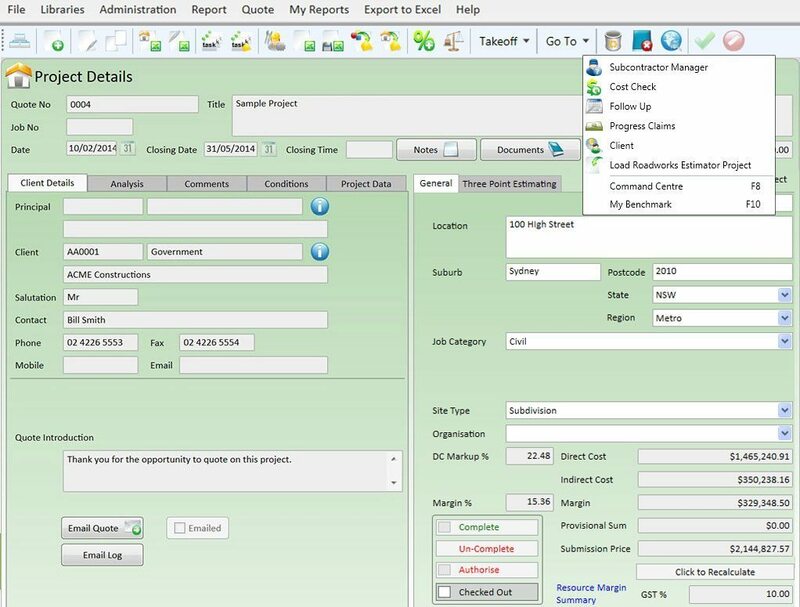 This feature is great if you wish to ‘front-load’ your tender for optimum cash flow early on in your Project. Import your takeoffs from On-Screen Takeoff into Benchmark Estimating Software: On-Screen Takeoff allows you to measure volume, area and linear measurements within electronic plans eliminating the need for paper plans. 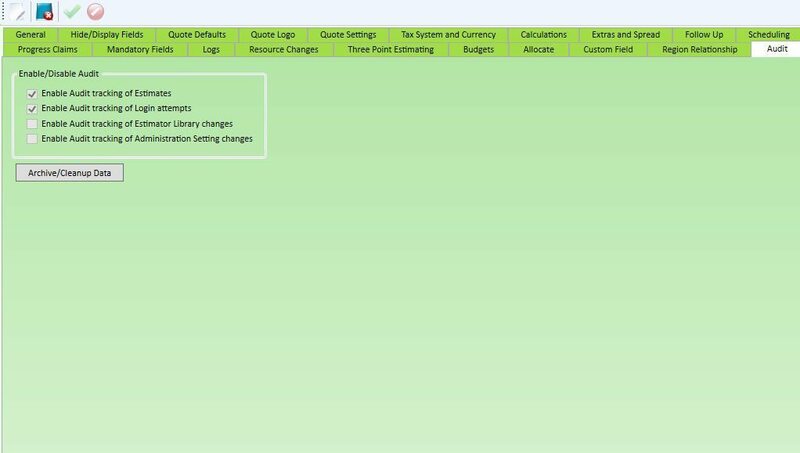 Subcontractor Manager: Import quotations from Subcontractors or Suppliers electronically to save time and increase accuracy: Compare quotes in a comparison screen within Benchmark Estimating Software and automatically update your estimate with your selected Subcontractor/Supplier. 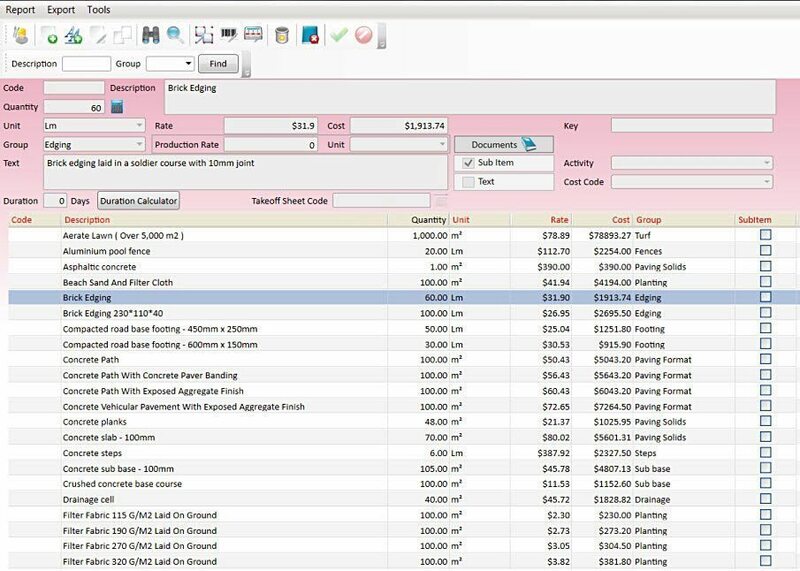 Cost Check: This Benchmark Estimating Software feature is ideal for updating previous, completed estimates with current prices. You can see which prices are out of date and elect to update all, or just some, Resources at the click of a button. Progress Claims: Generate Progress Claims directly from your Benchmark Estimating Software estimate. 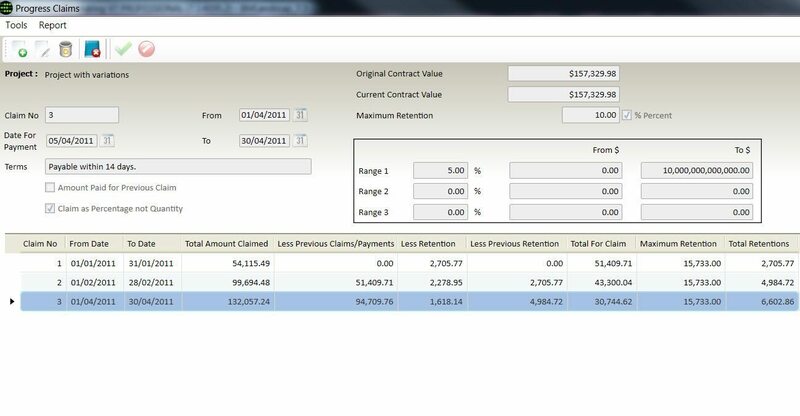 This includes the ability to do your claims by % or Quantity complete, and also handles Retentions. Benchmark Estimating Software has a ‘Complete’ function which locks in your estimated price. Complete can also act as a management tool on larger tenders by helping you keep track of where you are up to. Authorisation of Quotes: Take control of your quote authorisation processes. If a user does not have approval to authorise a quote, our system can notify their manager automatically. Project Sections are high level headings for your project. They can be added from a Library, imported from a spreadsheet or entered manually to suit your Project. You can have one or many Sections depending on your Project’s complexity and / or how you may wish to present your estimate to your client. Variables: Adjust key parameters and see the instant effect on your project price. Variables are ideal for parameters that regularly change on a project due to changing site conditions. They can apply to individual Items in an estimate or can have a Project-wide scope. In the Summary box you can see the updated Project figures. Variation Approved button: For integrating with your ERP/Accounting/job costing program. 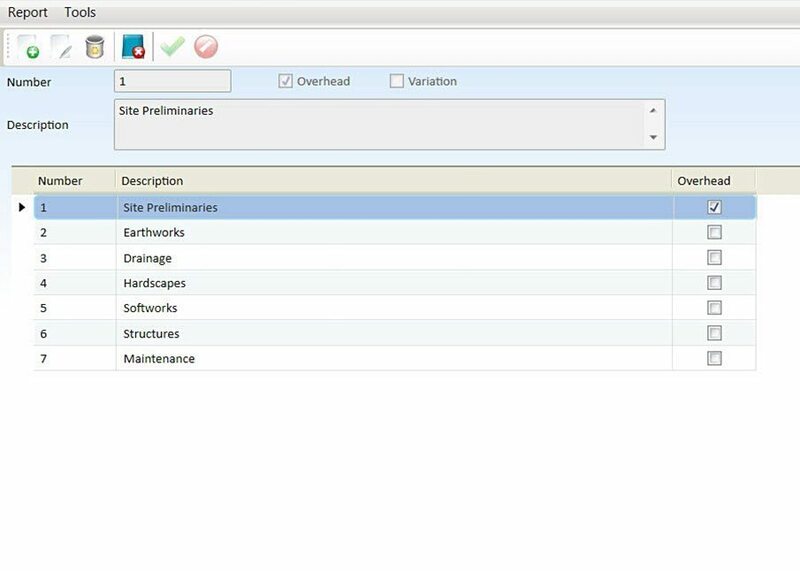 Project Variations: Easily add Variations to your Benchmark Estimating Software Project; these can then flow through to your Progress Claims. Create new Items: Create brand new Items in a Project by adding Resources to them; you can create new Resources or pick Resources from your Resource Library (this is known as first-principles estimating). If the new Item you create is one you could use again, simply Duplicate it to your Item Library and you can re-use it over and over again. Add Items from a Library: Add standard Items from your Item Library to an estimate. This saves you re-inventing the wheel, saves time and ensures you don’t leave important costs out of an estimate. All of your Resource requirements are worked out for you, and you have the flexibility to tailor the Item to suit your Project if required. Allocate Resources from the Item Library: Allocate one or many Items from your Item Library to a single Item in your Project. 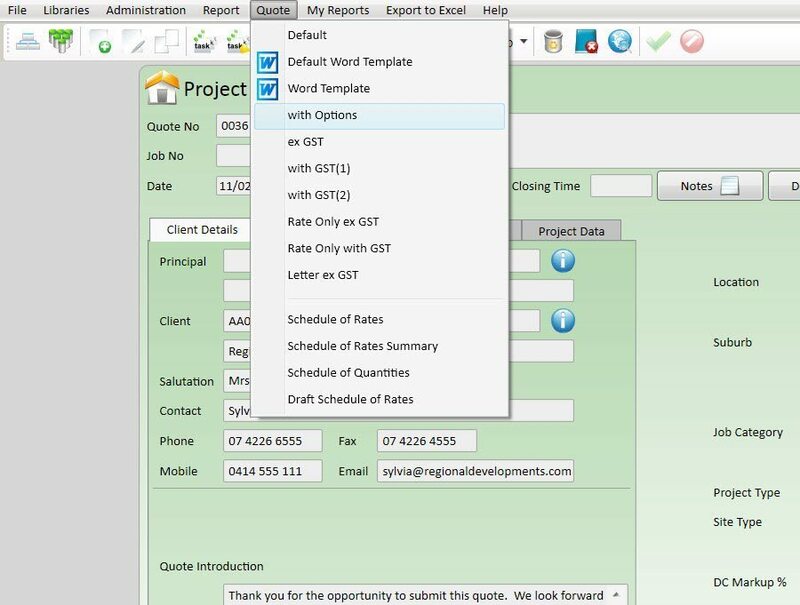 This feature is ideal if you need the flexibility to handle different clients who specify their tenders in different ways. 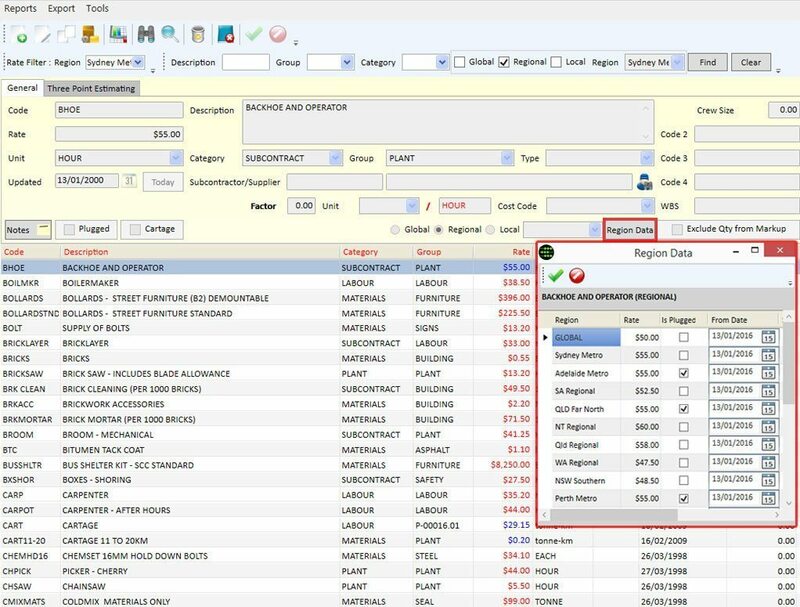 Auto Allocate: Ideal for companies who price Schedules of Items where the standard schedule rarely changes. Auto Allocate, can automatically price the Items in your estimate using Items from your pre-existing Item Library. Quantity Calculator: Perform simple or detailed quantity calculations for Items or Resources with ease. Your calculations can include text and are automatically saved with your estimate. They can be printed on estimate review reports and they eliminate the errors and wasted time associated with working out calculations by hand or on paper. Production Rates: Adjust production rates for Items on a job by job basis to ensure you obtain a realistic, accurate price suitable to the project site conditions. Rate Only and Provisional Sum Items: Add Rate Only items and Provisional Sum items in your estimate at the click of a button. 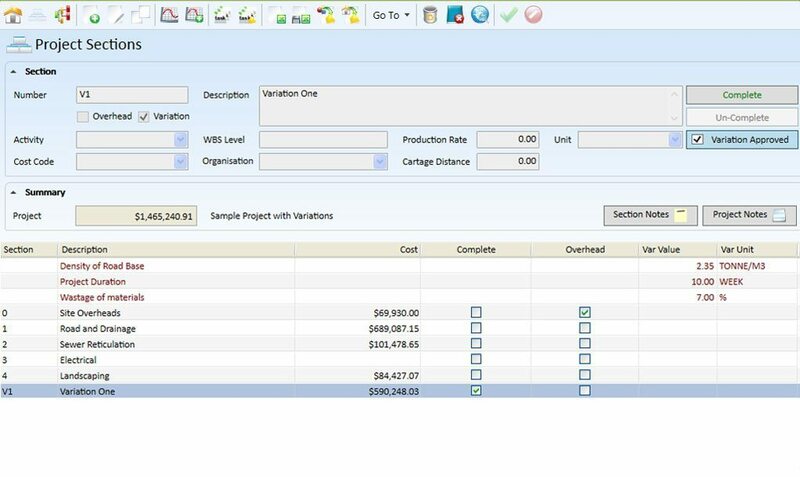 Composite Items: Build up the cost and rate of an individual Item in a Project by adding other Items underneath it. This powerful feature gives you greater flexibility and allows you to include a greater amount of detail in your estimates. It also “closes the loop” on compliance with structural requirements of estimating software for BIM. Composite Totals: Offer more levels in an estimate meaning you can produce quotes with clearer, more logical formatting that will stand out from your competitors. Also makes estimating major projects easier and facilitate flexible integration with detailed WBS reporting and analysis. Inactive Items and Inactive Resources: Quickly model different construction methods for Items in a bid. Estimators and managers can make better informed decisions about alternative methods of construction & also undertake “what-if” analysis. This helps your business to prepare more competitive, accurate estimates and to win more work. 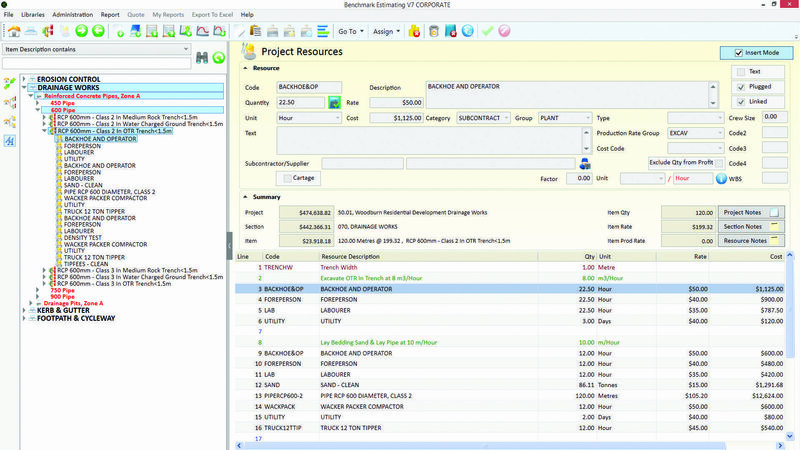 Project Resources: To drill down into an Item simply double click on your chosen Item. You can then see the Resources required to undertake this task. All of these details can be quickly and easily edited to suit the site conditions. 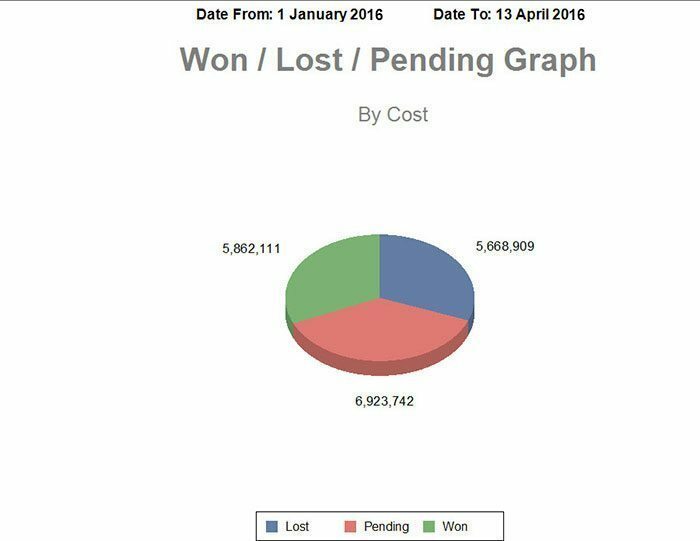 Estimate formatting: Utilise text and bold text lines, sub totals and group totals to present your estimate in a very clear format. Variable: Adjust key parameters and see the instant effect on your project price. Variables are ideal for parameters that regularly change on a project due to changing site conditions. They can apply to individual Items in an estimate or can have a Project-wide scope. Custom Fields: Set up your own user defined fields (field label names and type of field) for a Project, for Items in a Project and for Clients. 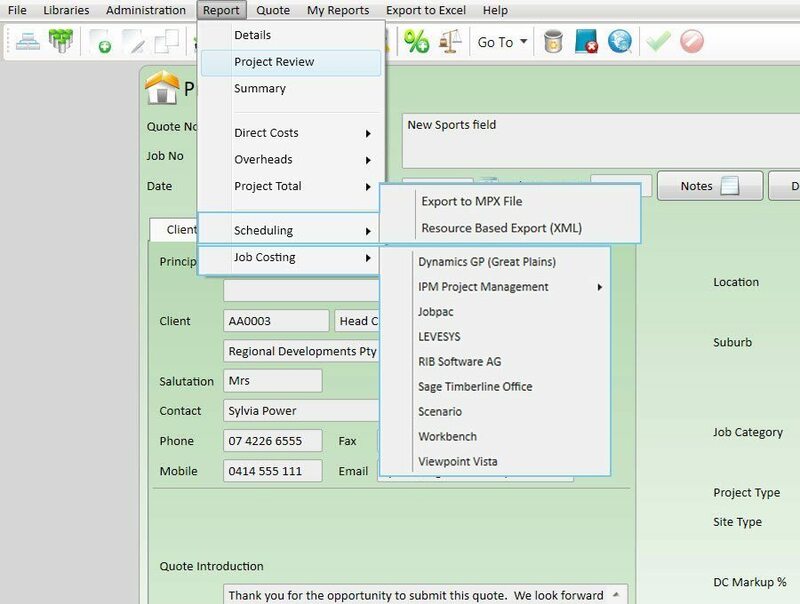 Project Explorer: The Project Explorer feature provides a familiar ‘tree view’ allowing easier and quicker navigation through your BOQ. You can quickly drill down to the Resource level, within seconds, as well as expand and filter to help you find important Items easier and faster. 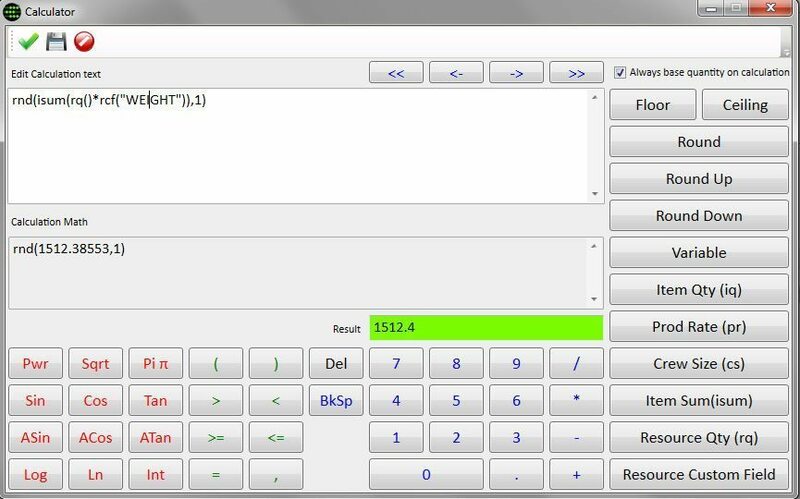 The powerful Calculator is very easy to use, and it allows you to quickly and easily enter Calculations. With new functions including Item Sum (ISUM), Resource Quantity (RQ) and Resource Custom Field (RCF) functions. These features help you to develop more powerful & flexible calculations to further streamline repetitive processes and develop faster and more accurate estimates. Estimate review and project management reports: Select from over 100 reports for any estimate. 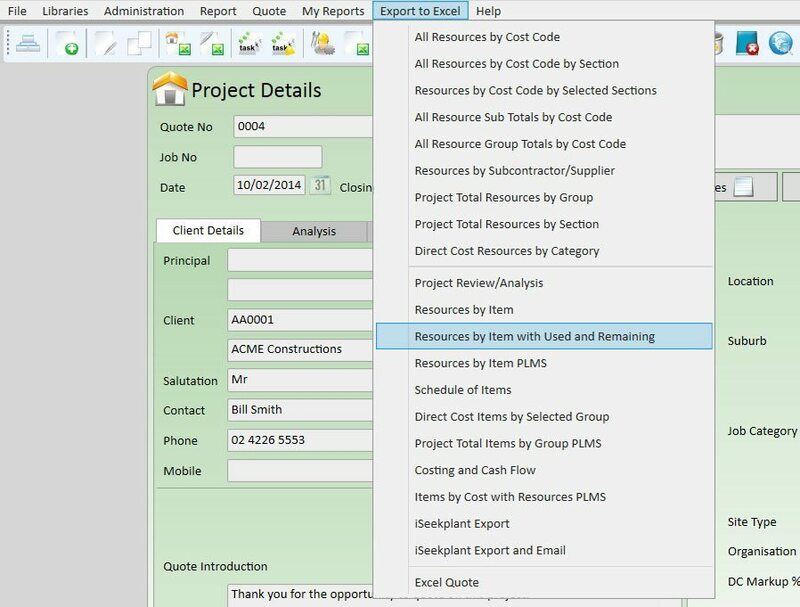 Reports available range from a high level summary, a bill of quantities, detailed resource listings item by item, resource listings summarised by group, and resource usage summaries. Resource-based Export to Microsoft Project: Automatically create a gantt chart in Microsoft Project. This powerful export automatically calculates the duration of each Item (activity) in your Project and exports the Resources and costs as well. Exports to Accounting/ERP systems: Purpose written exports to various other systems including Microsoft Dynamics GP(Great Plains), IPM Project Management, Jobpac, RIB Software AG, Sage Timberline Office, Projection Scenario, Workbench, Viewpoint Vista and LEVESYS. 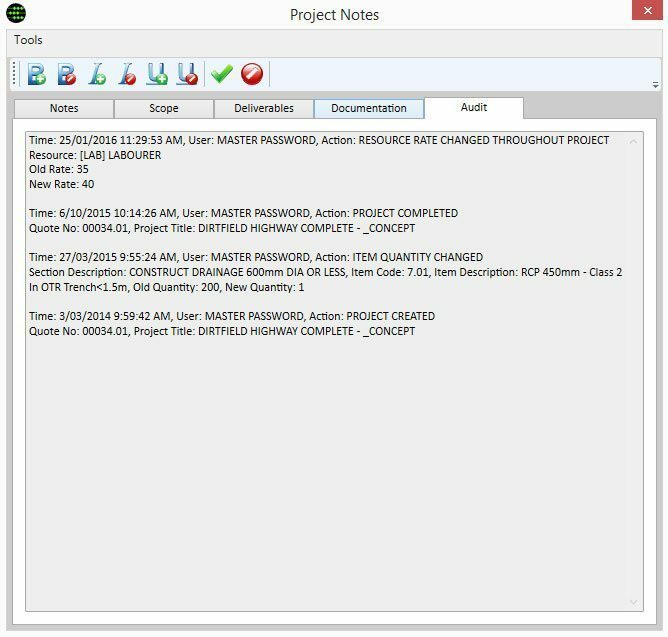 Quotation reports: Benchmark Estimating Software generates standard quote reports including Quotations with/without tax, Rate Only Quotations, a Schedule of Rates submission and a Tender Letter. Microsoft Word Quote templates: Benchmark Estimating Software can export your estimate data to Microsoft Word automatically and create a professional quote for you. This feature utilises templates which you can set up to suit your business. You can have multiple templates for different types of submissions. Quote with Options report: Depending on the project and/or client, you may want to hide certain data. This report provides you with many options so that you can quickly produce a professional quote in the format and with the data you require. Benchmark Estimating Software is a Library based system. 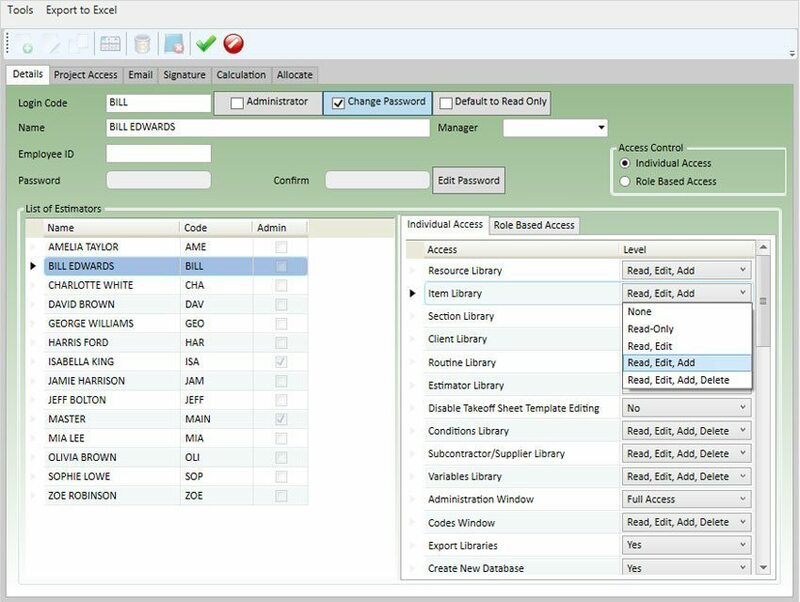 You can store your standard activities and pricing data in secure Libraries to save repetitive data entry tasks. Our Library system also helps you to improve the consistency, accuracy and speed of your estimating. Section Library: The Section Library stores the main work breakdown headings for the standard estimates that you prepare. Item Library: The Item Library stores the list of standard services you provide. Each Item contains a build up of Resources and can include standard production rates and notes/text. This Library is a key repository for your corporate knowledge and is the cornerstone of Benchmark Estimating Software. Sub Items: Sub Items are ideal for crews, assemblies or breaking down your items of Plant/Equipment into more detail. These are a great time saver for power-users and enable you to produce more detailed estimates. 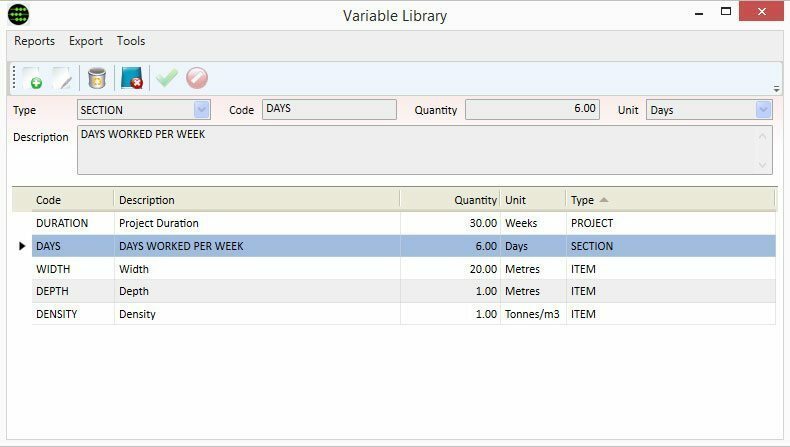 The Resource Library is a central list of your Labour, Plant, Material and Subcontract costs; these costs are the building blocks of your estimates. Routine Library: The Routine Library is where you create and maintain your Routines; Routines can be used for many estimating tasks and work by presenting the user with questions about the task/project. Routines too are a key repository for your corporate knowledge. Client Library: Store details (i.e. address, phone, contact, mobile, email etc) and notes about your Clients in central Libraries. User based security and permissions: Each user can be set up with a login and password to ensure your important estimating data is secure. You can also assign many user-specific permissions/restrictions to help ensure that your data and processes are controlled. Library security: Access to all Libraries can be granted on a user by user level. Some Libraries can also be configured for read only access. Quantity Takeoff Sheet Library: The Quantity Takeoff Sheet Library stores your standard takeoff sheets. 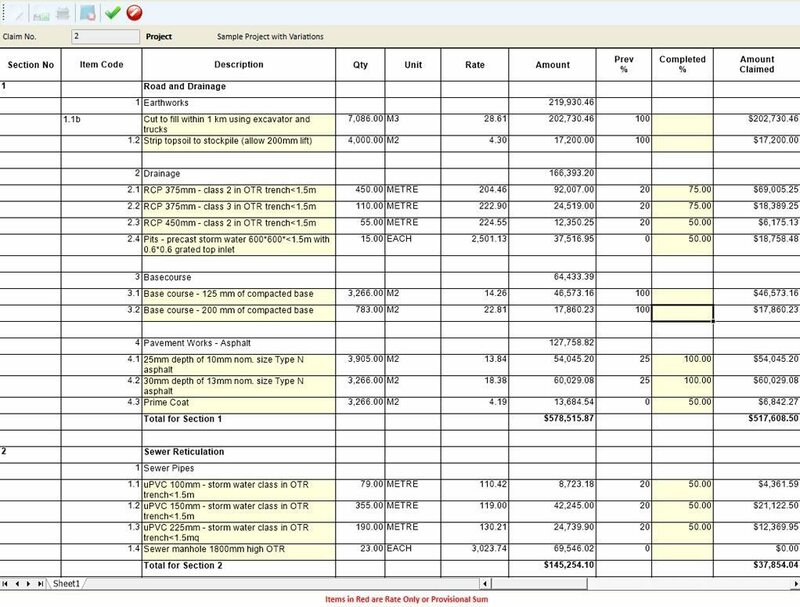 These can be called on by users when performing detailed quantity calculations for Items in an estimate. Template Projects: The Template Project Library allows users to easily create and maintain Template Projects. This feature includes security access control over which users can create, edit and delete Template Projects. 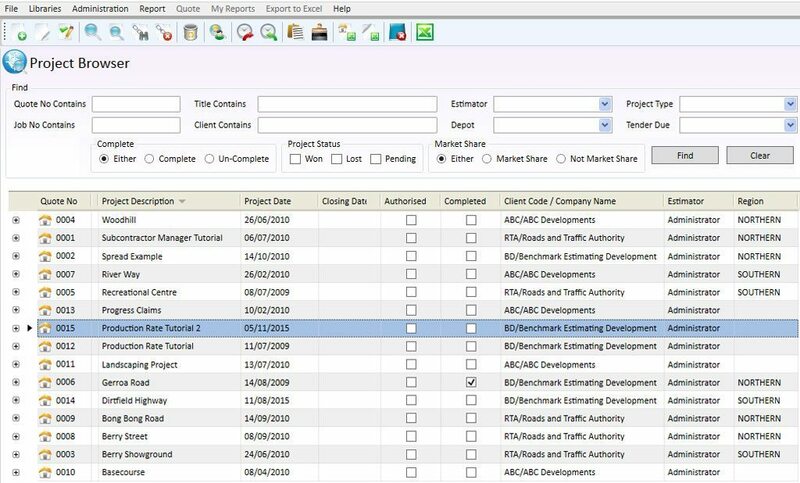 Estimating processes become more streamlined with the ‘Add from Template Project’ feature, and business reporting more accurate. This feature even tracks which estimates are based on Template Projects, offering you powerful analysis data to help you audit and improve your estimating operations. Subcontractor/Supplier Libraries: Store details (i.e. 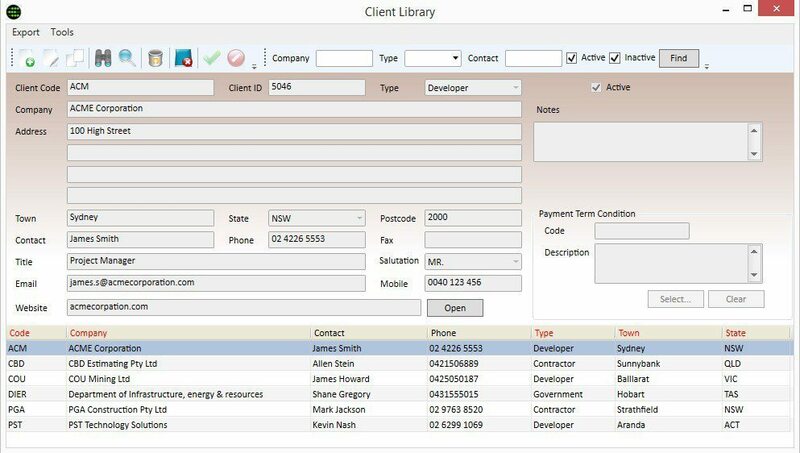 address, phone, contact, mobile, email etc) and notes about your Clients and Subcontractors/Suppliers in central Libraries. Variable Library: The Variable Library within Benchmark Estimating Software is ideal for important Variables (such as Densities, Wastage % or even common production rates) that are used over and over again in many calculations. This Library captures and shares these very important values for all Estimators to use. 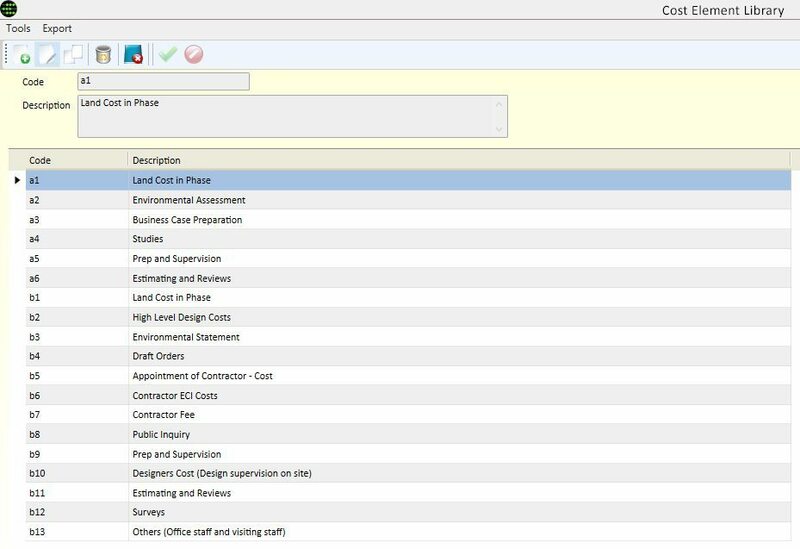 Conditions Library: Standard Conditions and commonly used Project-Specific Conditions can be saved in a library to save re-typing, and reduce the risk of forgetting important contract conditions. Three Point Estimating Libraries: Users with the Three Point Estimating (TPE) add-on module have Libraries for Risks, Risk Reasons, Cost Elements and Ranges. Three Point Estimating Libraries: Users with the Three Point Estimating (TPE) add-on module have Libraries for Risks, Risk Reasons, Cost Elements and Ranges.ission and a Tender Letter. saving time and helping you to produce more accurate business reports. Marketing reports and graphs: Generate powerful marketing reports and graphs (e.g. 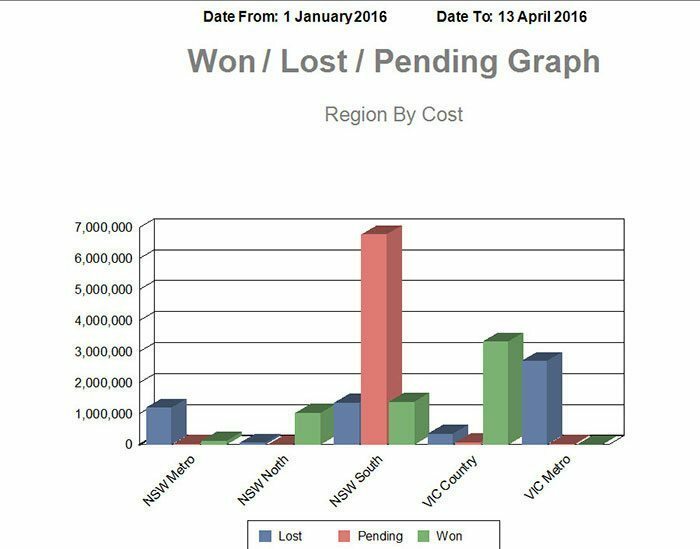 won/lost/pending, reason for loss, competitor comparison) to help you analyse and grow your business. Quickly update market data: View and update key Marketing data (e.g. won/lost) for all quotes quickly and easily in the one window within Benchmark Estimating Software, saving time and helping you to produce more accurate business reports. 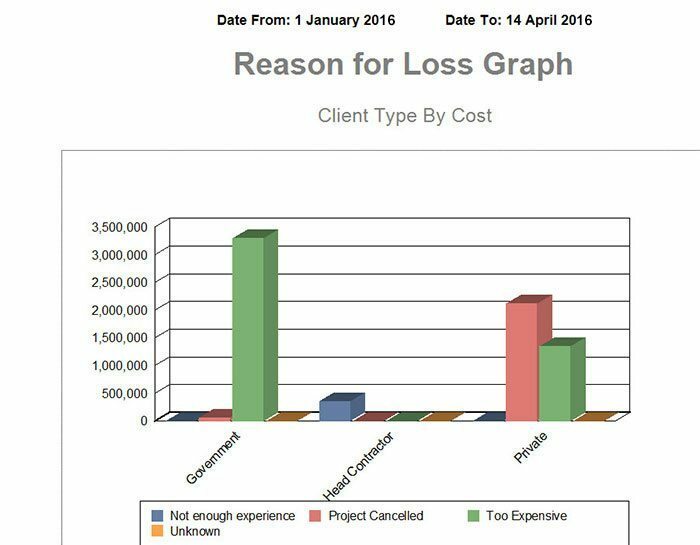 An example of a marketing report reflecting projects Won/Lost/Pending over a selected time frame..
An example of a marketing report reflecting lost projects divided by Client Types. Benchmark Estimating Software offers many powerful features that will help you to create the most clear and accurate estimates possible while saving time and increasing productivity. Routines: Ideal for pricing repetitive tasks with many parameters. 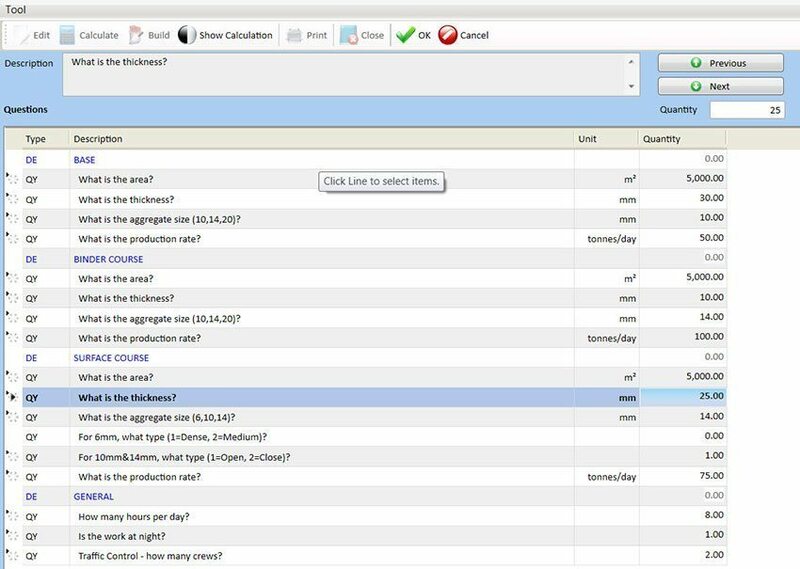 Equally suited for day-to-day quotes through to more complicated Items in larger estimates, Routines provide you with a list of questions (like a checklist) and all you need to do is answer questions; Benchmark Estimating Software does the rest. 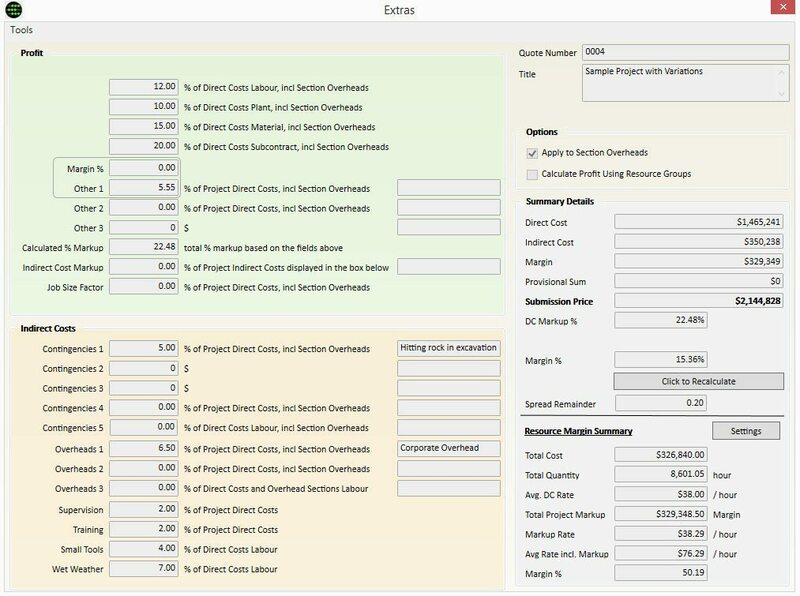 Quantity Takeoff Sheets: With the Quantity Takeoff Sheets that are a standard feature in Benchmark Estimating Software, you can perform detailed Item quantity calculations. These sheets are in a spreadsheet format and can be based off standard sheets from a Library, or created on a project by project basis. Progress Claims can be generated directly from your Benchmark Estimating Software estimate. You can enter your claim data by % or Quantity complete, and the system also incorporates Retentions and Variations. Progress Claim Reports: Multiple Progress Claim reports including a one-page Summary (cover sheet), detailed reports Item by Item, a Claim Report with Options so you can customise the format of the report, and a report showing summary data for the last four claims. Entering claim data is easy and fast, there is no messy copying and pasting or time spent working on formulas in a spreadsheet. 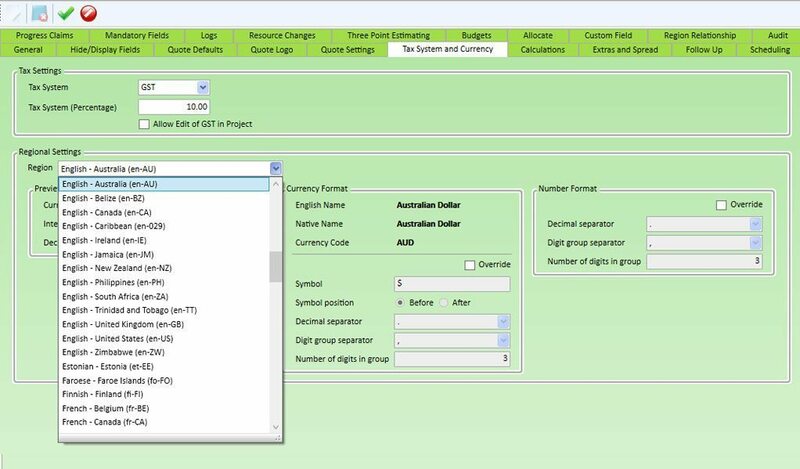 Multi – Currency: Benchmark Estimating Software allows you to quickly and easily adjust an exchange rate across a bid. This helps you to produce more accurate estimates quickly and with confidence. 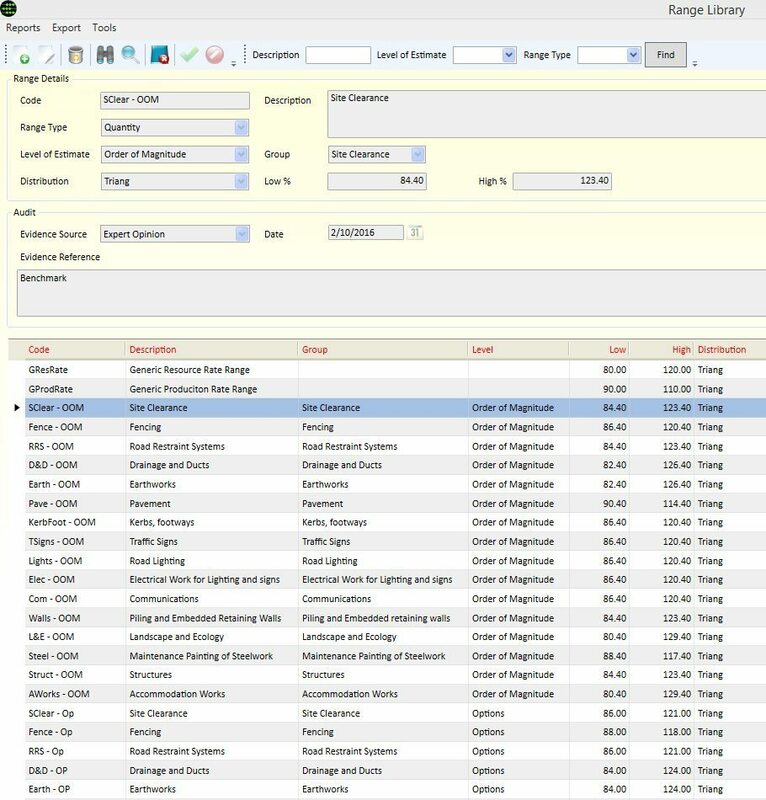 Benefit from increased efficiency, less chance of error and greater accuracy across your business, as you now have the ability to maintain all your supplier’s price lists from all countries in one single database. Add Profit: Add Profit (Mark-up) in a variety of ways including as an overall % of the Project or as a lump sum. You can also nominate different Mark-up % to your Labour, Materials, Plant and Subcontract components. Add Indirect Costs (Contingencies and Overheads): Add Overheads and Contingencies (Risks) on your Project by entering % or lump sum amounts. For Site Overheads you can also build these up from first-principles. 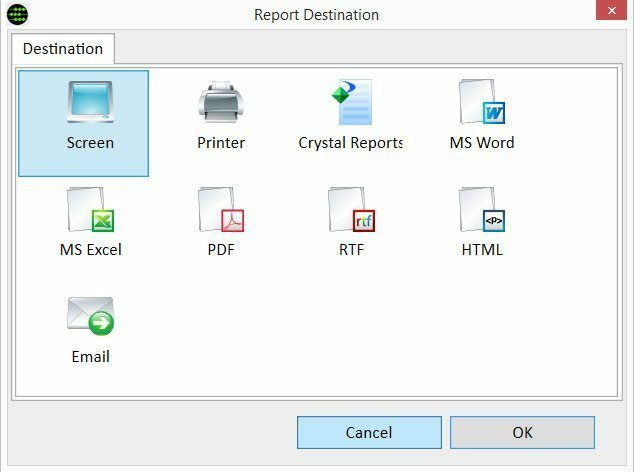 Reports: All reports can be viewed on screen, printed, exported to Microsoft Word, exported to Microsoft Excel, saved as a HTML document and saved as a PDF document. Export to Microsoft Outlook: When printing a report you can elect to email it via Microsoft Outlook. The selected report is converted to PDF and attached to the email. (If you do not use Microsoft Outlook an alternative email method does exist). 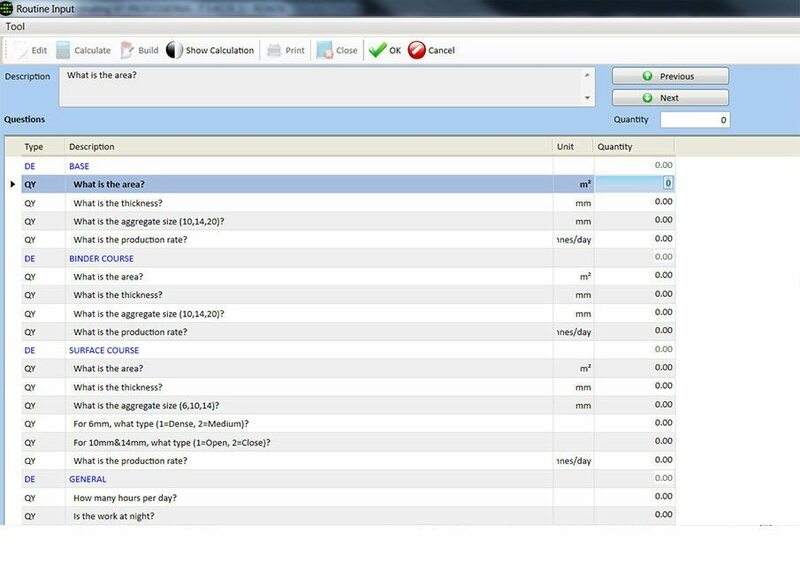 All emails are also recorded in an Email Log within Benchmark Estimating Software for all users to review. Central register of estimates: All estimates you create are listed in Benchmark Estimating Software’s Project Browser window. This makes finding and opening previous estimates easy and fast. You can quickly search or filter estimates by Client, User, Status, Due Date, Location and many other criteria. Business reporting: Standard business reports including Projects by Estimator, Quote KPI per Estimator and Winner Not Registered. 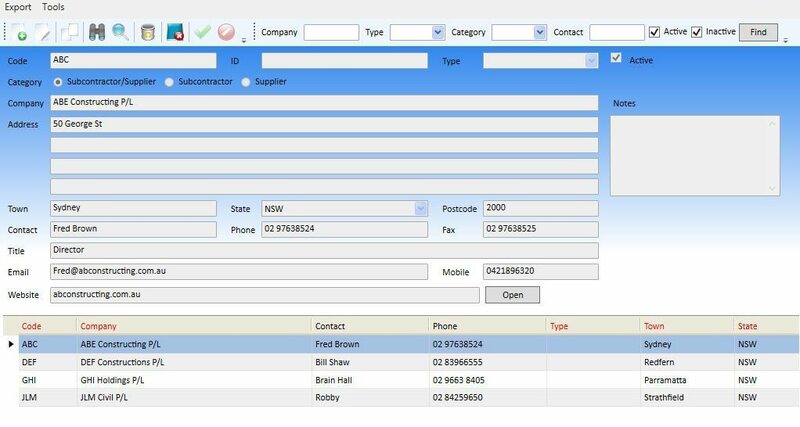 Customisable drop down fields: Customise the options available in your drop down fields to suit your business. 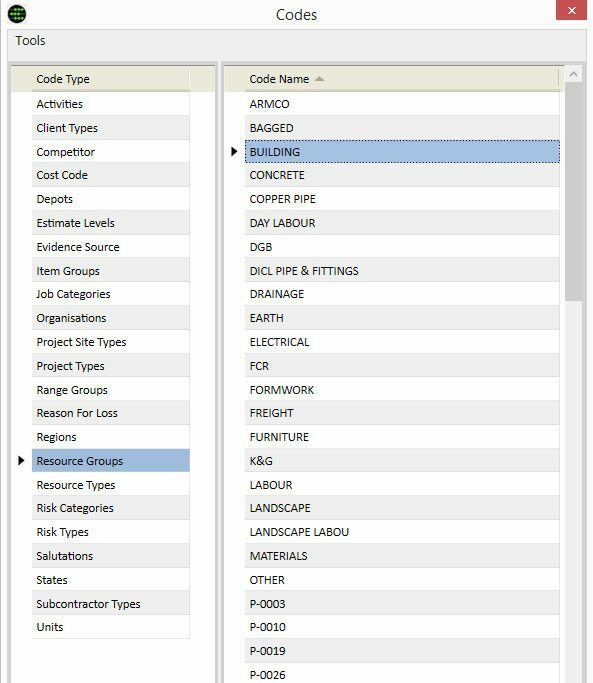 These fields may be for important data like Resouces Group, Cost Codes, Units, Region and Job Category (to name a few). There is also security over who can edit these settings. 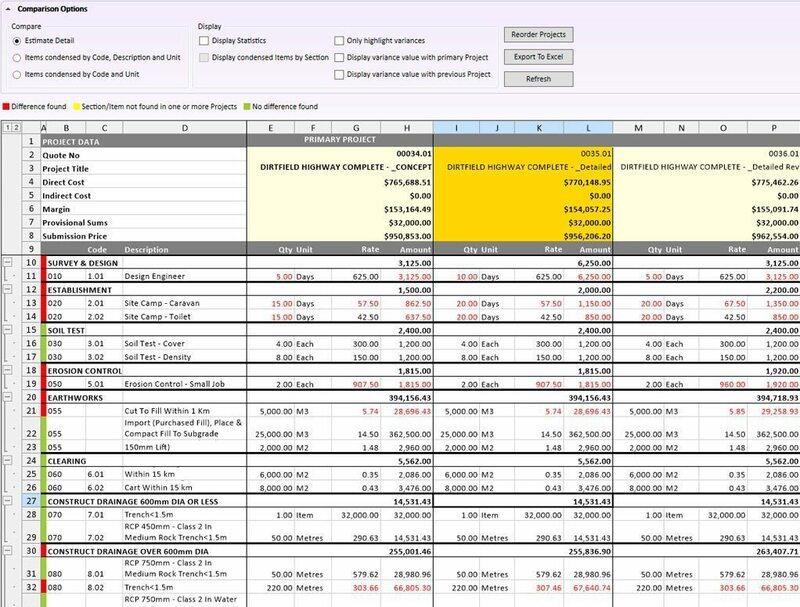 Project Comparator: Save time comparing revisions of estimates and undertake powerful what-if analysis to help with management decision making. 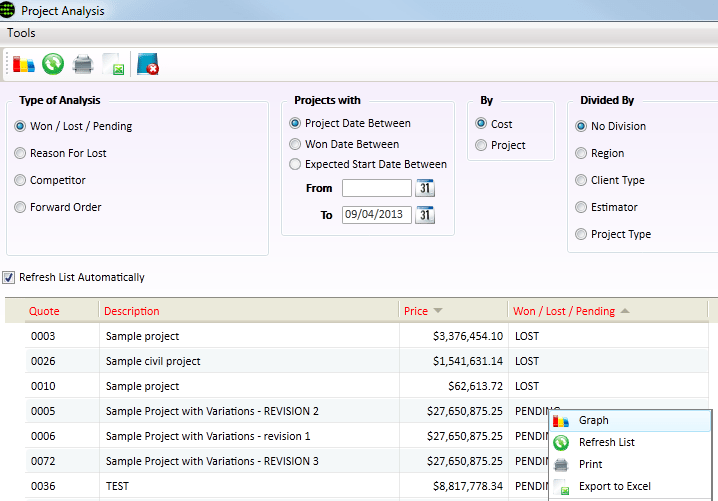 Project Managers can use it to review and compare estimated margin details following refinement of their budget. System Security Audit: The new System Security Audit feature logs all logins to the software both successful and unsuccessful, all changes to Administration settings and all changes to User Account settings. Localisation: Benchmark Estimating Software allows users to select their region, and have the right format displayed automatically, depending on the region and culture. 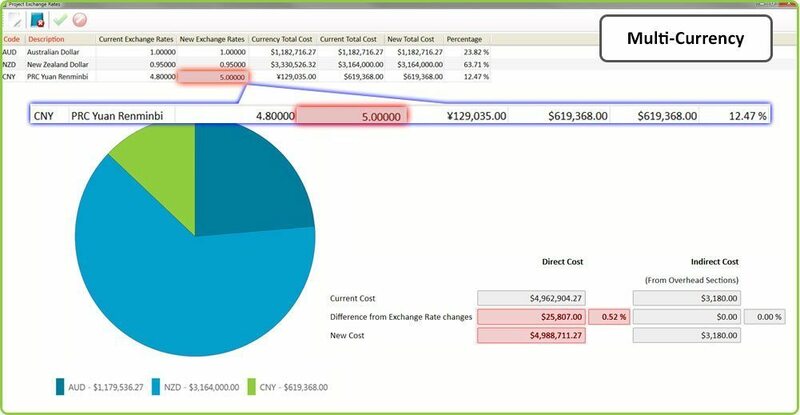 Job Costing Export to Microsoft Excel: Exports your complete estimate breakdown into Microsoft Excel; Project Managers can then enter actual Resource usage and get comparisons of the estimate versus actual to help them run projects. Project Audit: Keeps track of important changes to an estimate so they can be reviewed and audited. 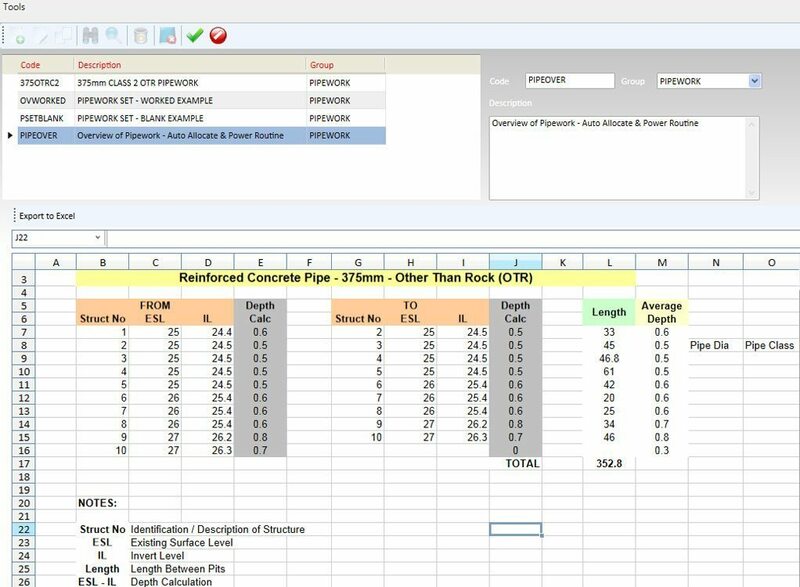 Please watch our demonstration videos which provide you with a solid understanding of the power and ease of use of Benchmark Estimating Software. Please access for a full version of Benchmark Estimating Software Features.